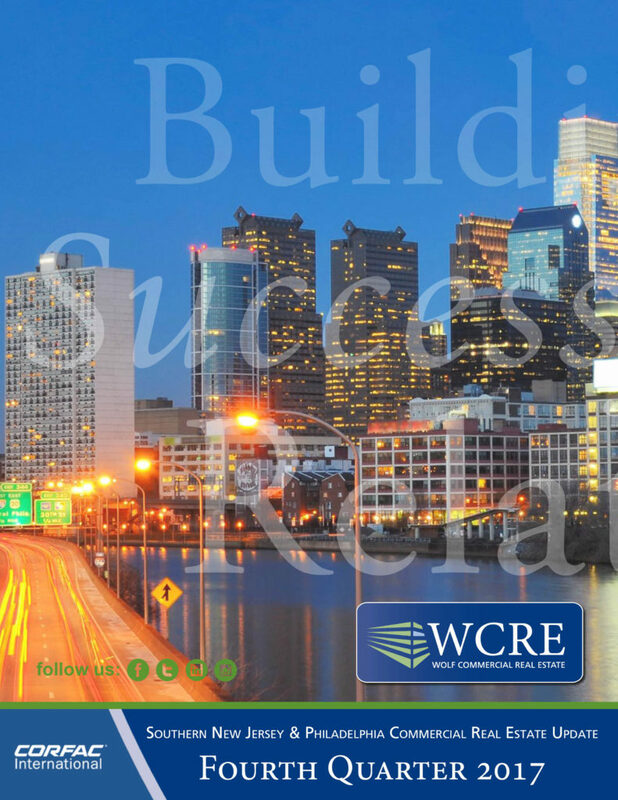 September 5, 2018 – Marlton, NJ – Wolf Commercial Real Estate (WCRE) is pleased to announce the hiring of three new members of our firm serving our southeastern Pennsylvania and Southern New Jersey teams. 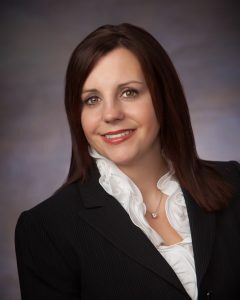 April Loomis has joined the WCRE team as a Senior Sales Associate focusing on the Southern New Jersey market. 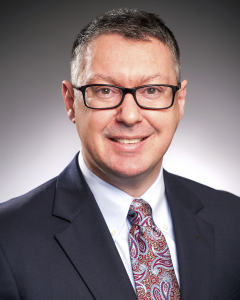 Loomis brings over 25 years of professional experience with major corporations in the region, having recently served as a Contracts Manager at Lockheed Martin and Comcast Corporation. 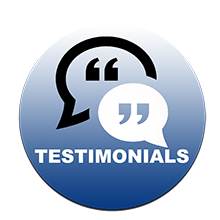 She has been licensed as a New Jersey Salesperson since 2012. 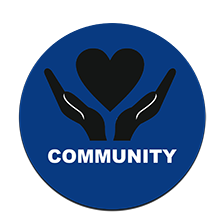 April is also active in the local community and has numerous civic and professional affiliations. 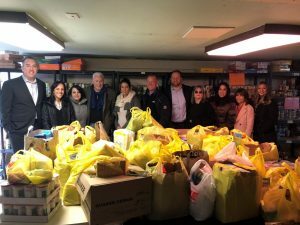 She is a member of the National Contract Management Association, the Gloucester County Board of Realtors, and the Witches of East Greenwich Charity Organization. She serves as Vice President of the Villages of Whiskey Mill Homeowners Association and is a New Jersey State Bar certified Paralegal. 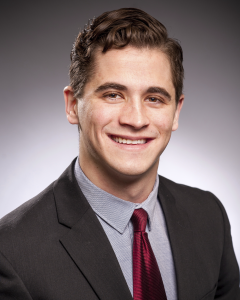 Mitchell Russell has joined WCRE team as the firm’s newest sales associate in Pennsylvania. 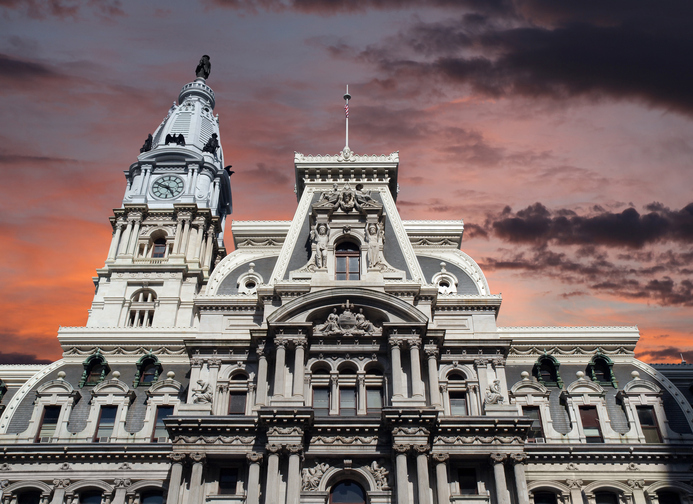 Russell will generate and service new business in the office and industrial sectors for clients in Philadelphia and its suburbs. 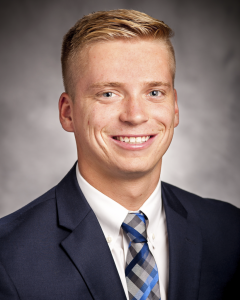 Russell is a recent Duke University graduate, where he was a member of the Duke University lacrosse team and a proud four-time ACC honor roll member. As a senior this past year, Mitch helped lead the 2018 Blue Devils to the national championship game. 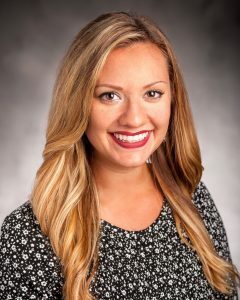 Nora Farghaly has joined WCRE as a Marketing Coordinator and Administrative Assistant. Farghaly will bring new ideas to WCRE’s best-in-class marketing team and enhance client service by providing additional broker support. Nora brings more than five years of experience designing, creating and executing marketing campaigns across various industries through her independent marketing consultancy NF Design. She has also served in marketing roles at Valley National Bank, Golf Performance Institute, ANCERO, and Compass Group at Rowan University. 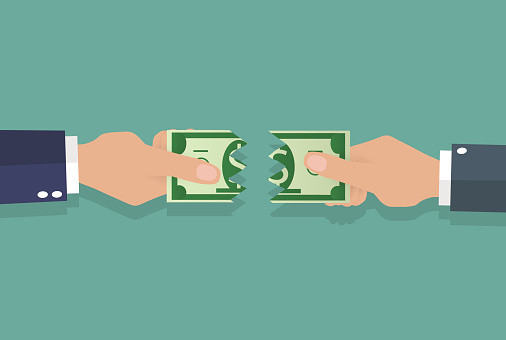 Property owners misconceptions about cost segregation are leaving money on the table. 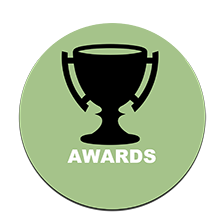 In 2001, an IRS ruling allowing taxpayers to “catch up” on prior years’ depreciation deductions was a significant upgrade to the benefit of cost segregation studies. Yet, as we approach midyear 2018, it’s estimated that 9 out of 10 commercial real estate owners don’t take advantage of this exceptional savings tool on a regular basis. This inaction can easily be traced to misconceptions that persist in today’s marketplace. They are preventing the capture of large tax savings and increases in cash flow for commercial property owners and investors. Cost segregation studies are just too expensive to see any real return. For the $500,000 property, the net cost of a study would be in the $3500-$4500 range. This provides a return of 8-12 times the investment. What owner wouldn’t be pleased to get their money back several times over? There are few business investments that can generate that level of return, especially on an immediate basis, in a single tax year. A cost segregation study should be done within the first 3 years of ownership, or the opportunity is lost. This was addressed in the 2001 IRS ruling that created the single most awesome feature of cost segregation – “catch up” depreciation. In a given tax year, a study allows the taxpayer to deduct all of the depreciation they could have taken since Day One of acquisition, minus the depreciation that was taken. Accumulated over all the years of ownership, this difference, and the resulting tax savings, can be quite substantial. Owners of a medical services business were making plans for retirement. This included the sale of their office building which they had acquired 12 years earlier. At that time, it had a depreciable real property value of about $1,340,000. A cost segregation study was never performed during their years of ownership. The tax advisor for a potential buyer suggested a study be completed now to “unlock” the tax savings benefit they had been sitting on. They were then able to deduct $303,000 in additional “catch up” depreciation, leading to a tax savings of $121,300. This was a very surprising and welcome boost to their retirement fund, extra money they didn’t know they had. 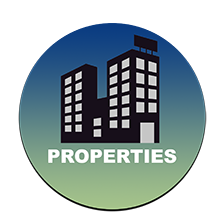 Cost segregation companies will typically provide a free, no-obligation analysis for any commercial property. Owners are then positioned to weigh the study’s cost against the possible huge financial return without wasting time or money. 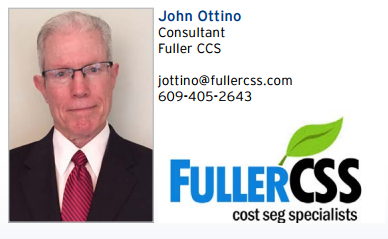 John is a Consultant serving the Greater Philadelphia/South Jersey region for Fuller CSS. 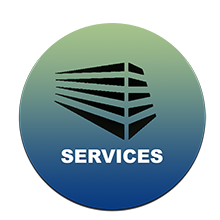 FullerCSS, cost segregation specialists, with on-staff engineers and accountants, has completed hundreds of tax-savings studies for real estate investors and commercial property owners. 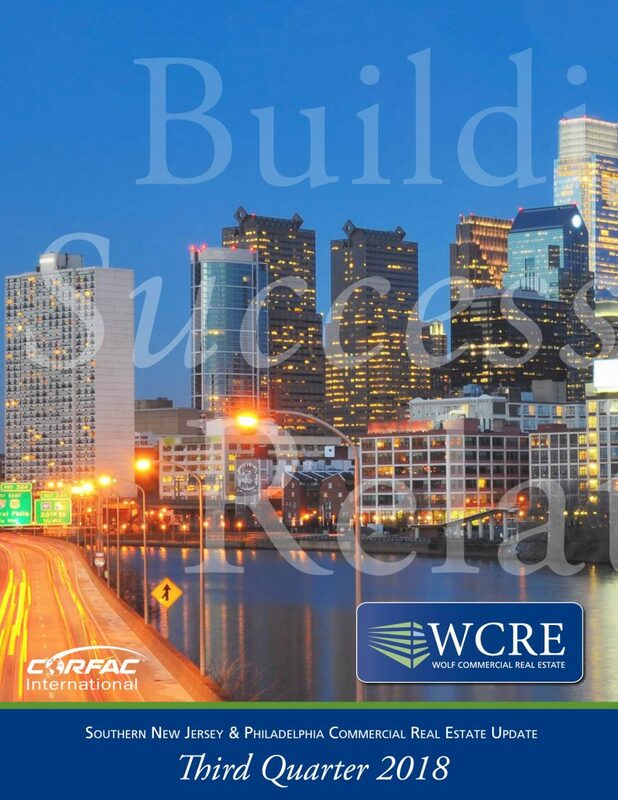 June 5, 2018 -Marlton, NJ – Wolf Commercial Real Estate (WCRE) is pleased to announce that it will be opening a new office at 1601 Market Street in Philadelphia. This will be the firm’s third office, in addition to its headquarters in Marlton, NJ and an office in King of Prussia that opened in 2014. Since its founding in 2012, WCRE has grown into a market leader in Southern New Jersey and southeastern Pennsylvania. The team has set a new standard in serving the needs of owners, tenants, and investors. The firm currently has more than 175 properties comprising 4.2 million square feet of office, retail, medical, industrial, flex and investment property in the region under exclusive watch. 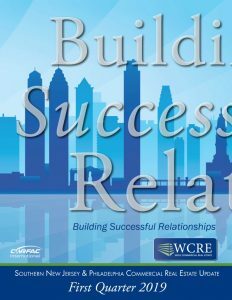 Along with Mannino, WCRE’s Philadelphia team includes several well-known business leaders with deep roots in the city. Among them are Brian Propp, director of strategic relationships, Andrew Maristch, vice president corporate services & portfolios, Tony Banks, vice president, and Joseph Nassib, sales associate. 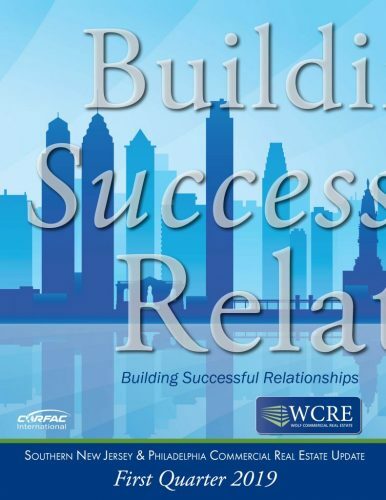 Each brings a unique skill set, along with energy, passion, and the signature WCRE commitment to the community. 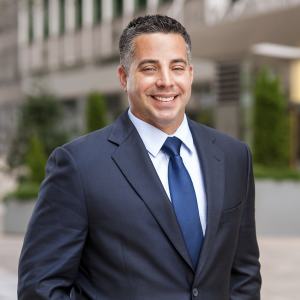 Founding principal Jason Wolf, and Lee Fein, a senior vice president and industrial space specialist, will assist the Center City team from their respective bases in Southern NJ and King of Prussia. 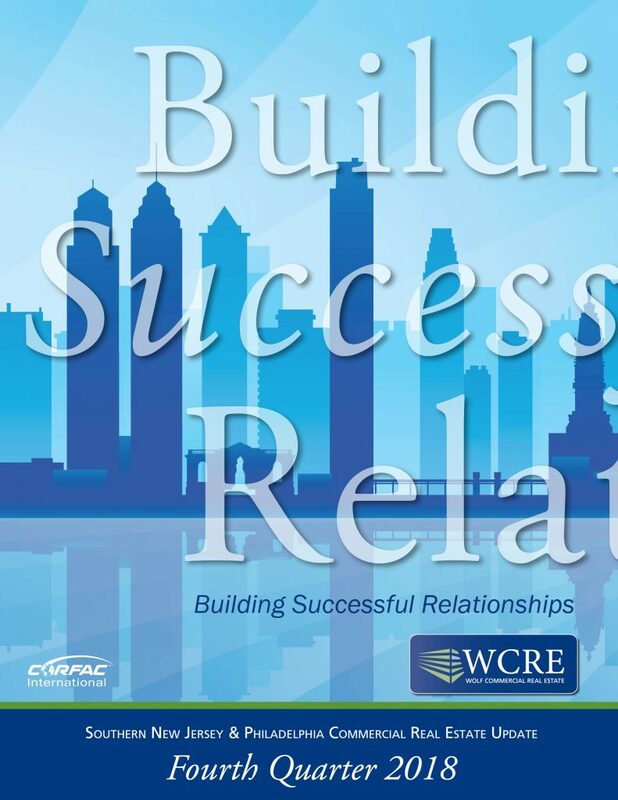 Last year WCRE became affiliated with CORFAC International, a network of independently-owned, entrepreneurial commercial real estate firms with 78 offices worldwide. The move has helped elevate the firm and contributed to its latest expansion.